A £7.5 billion investment designed to transform rail travel in the South West will be the subject of a public discussion at University of Plymouth..
Mark Hopwood, Managing Director of the recently rebranded Great Western Railway (GWR), will be explaining why the company has looked to the past as it aims to build a brighter future for train passengers. He will also be outlining a raft of planned measures, which include the electrification of tracks, the modernisation of stations and the introduction of a new train fleet to replace the high speed trains. The event will take place on Thursday 11 February, and is being hosted by the Sustainable Earth Institute and School of Geography, Earth and Environmental Sciences at University of Plymouth, in conjunction with the Chartered Institute of Logistics and Transport. 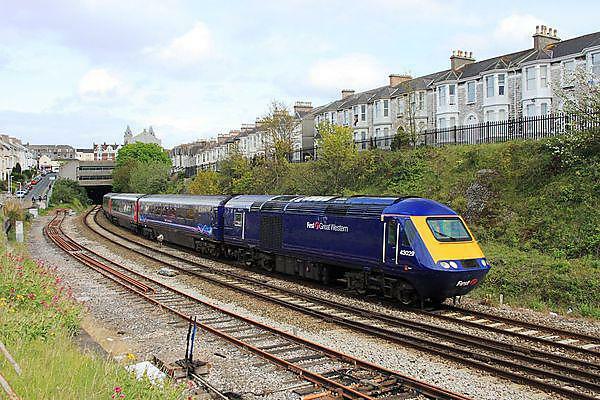 The company has recently re-adopted its old name, having been known for many years as First Great Western, and Mr Hopwood said it hoped to rediscover the pioneering spirit of the service that first ran on the line in 1833 under Isambard Kingdom Brunel. The event will be introduced by Jon Shaw, Professor of Transport Geography at University of Plymouth, a respected author and commentator on the UK’s public transport system. He has previously written extensively about the challenges facing the region’s rail network, with his most recent research focusing on the potential effects of rising sea levels and storm surges to the rail line at Dawlish. The event is free to attend, but registration in advance is essential, and doors will open at 5.45pm with the lecture starting at 6.15pm. Refreshments will be provided afterwards. For more information, email sei@plymouth.ac.uk or contact 01752 585599.